Our core resource is a unique trained workforce, a majority of whom are ex-Gurkhas we have trained and worked with over several years, and who exhibit professionalism yet are passionately driven towards customer service. Topher Limited currently holds SIA Approved Contractor Scheme (ACS) status for the provision of Door Supervision and Security Guard. As security staff, our workforce calm and deferential demeanour often defuses a problem before it becomes a crisis, and they understand how to conduct themselves in a public facing role. Topher Limited is an International Parking Community (IPC) approved parking operator. With over years of experience in car parking management, our staff lend an air of quiet professionalism to car parking and traffic management operations, and this translates into a great deal more cooperation and tractability from drivers. In addition, our staff are trained and accredited in the Community Safety Accreditation Scheme (CSAS) and we are also qualified to manage road closures and traffic flow on a public highway, therefore accredited with Police powers. Managing traffic, parking and security are the crucial first touch point that the visitors of any live events have with their brands. Hence, they are the important factors for any live experience as it has the power to shape the entire interaction a visitor has with an event. Topher also specialises in car parking management services for retails and shopping centres. We have been carrying out this service for several years for our clients such as John Lewis, Waitrose, NEXT, Home Retail Group, Capita, Costco, Howard Property and Savills. 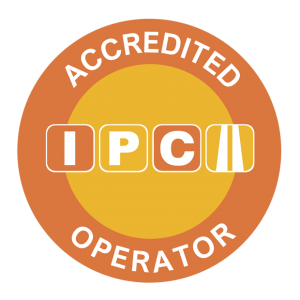 We are accredited with the British Parking Association and have recently become member of the International Parking Community (IPC). Our back office for account of fines is carried out through Solution Labs. We have maintained an extremely positive relationship with both clients and customers with our strong customer service attitude with people who receive fines and overall we aim to provide the public with an excellent car parking service.